Independent Living vs Assisted Living: What’s the Difference? When you’re choosing between assisted living vs independent living, the needs of your loved one should be the guiding force of the decision. But what if you don’t know all the differences between independent living and assisted living? Read on for the main differences you need to know. Help your senior make an informed decision that’s best for them. Caring for elderly people is an important responsibility which often includes choosing the right senior living community. If your senior has difficulty with these or other daily activities, you may wish to consider an assisted living arrangement. When people refer to a “nursing home,” assisted living is usually what they’re talking about. Assisted living homes are very helpful for seniors with trouble performing daily activities at home, either physically or cognitively. Caring for a loved one as a full-time caregiver can become very costly. This is especially true if your senior is dealing with a chronic health condition, such as Alzheimer’s Disease or dementia. Assisted living homes offer a way to live an independent lifestyle while receiving a helping hand where it’s needed. Many assisted living homes offer medical support on some level. Some offer personnel trained in basic life support and first aid. On the other end of the spectrum, some homes provide licensed practical nurses, registered nurses, or even doctors to care for their residents. Having medical oversight helps to ensure the safety and peace of mind for your loved one. Even if there is no medical staff, your senior will benefit from receiving prepared meals and housekeeping. Typically, laundry service, utilities, and transportation are also included with the rent for the room. 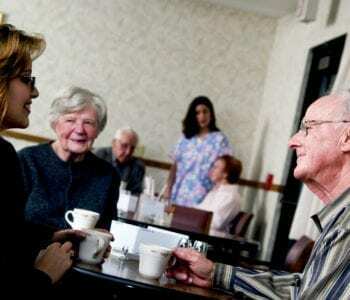 Another benefit which older adults enjoy is the opportunity to engage in many social events. Assisted living is ideal for seniors who wish to have their own living space but would like access to medical staff. They simply prefer a little help with basic daily activities, such as managing medications or assisting with bathing. Many older adults function well on their own but wish to live in an independent living community. Want the convenient access to social activities, medical care, and entertainment. Residents of independent living facilities are fairly active and enjoy the company of others their own age. They are very independent and need minimal assistance. Most communities offer a full range of trips and activities to help their residents lead an active lifestyle. If you’re considering assisted living vs independent living, remember to plan with the future in mind. Your loved one may not need assistance right now, but their health care needs may call for a need for assistance in the future. If possible, try to get an assessment from your senior’s doctor to help plan ahead. If you’d like to see a beautiful senior living community, schedule a tour at Maple Heights Senior Living.